Although the cemetery was established in 1838, the tour will begin with a visit to a circle of graves that date to the 18th century and early 19th century. After an ordinance was passed in 1849 prohibiting burials within the Brooklyn city limits, downtown churches began to close down their cemeteries with approval from the state legislature. 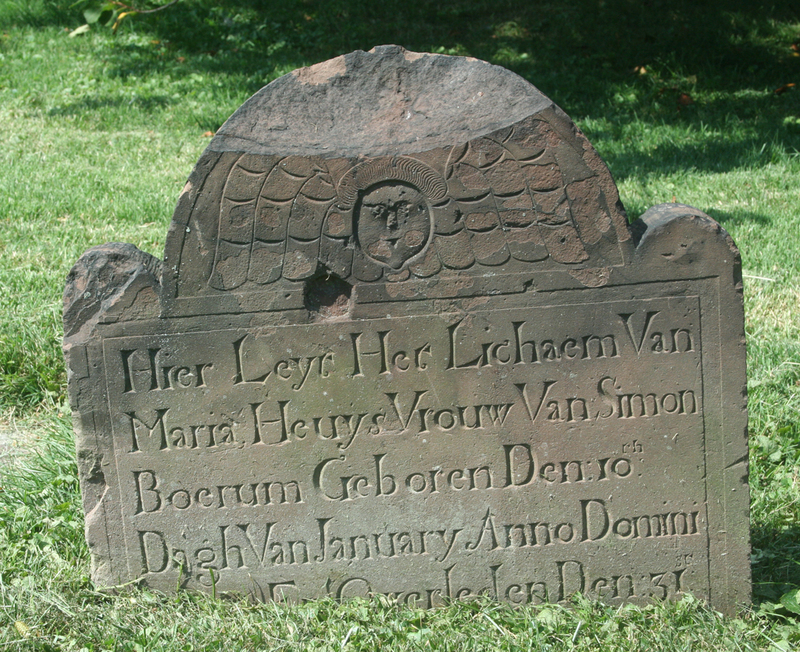 Thus, in 1865 bodies were removed from the First Dutch Church on Fulton Street and taken to Green-Wood Cemetery; and three years later bodies from the Dutch Reformed Church and St. Ann’s Church were also transferred. They were reinterred in an area known as Cedar Dell, marked on current cemetery maps with the prosaic appellation of lot 44602. Most of the tombs and mausoleums in Green-Wood Cemetery—including those of such 19th century New York and Brooklyn luminaries as Henry Ward Beecher, Peter Cooper, DeWitt Clinton, Samuel Morse, William Marcy “Boss” Tweed, Horace Greeley and Louis Comfort Tiffany—are made of marble or granite and are Victorian in style. Thus, the tour will focus on slab serifs (Egyptians and ionics), gothics (better known as sans serifs), Tuscans, Greeks and “rustics” (letters designed to look like twigs and branches). 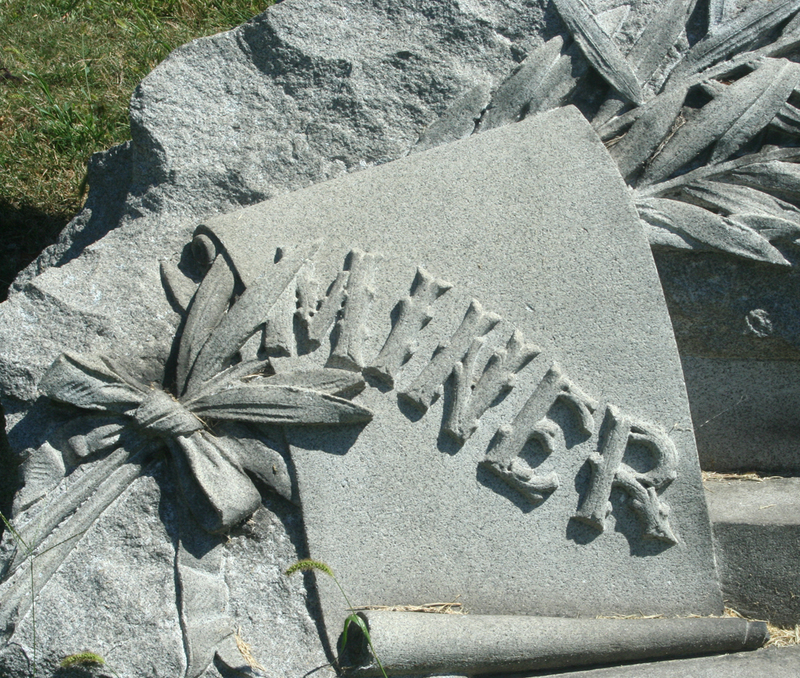 Detail of tombstone for Miner family, Green-Wood Cemetery. Photograph by Paul Shaw (2014). Join us on Sunday to see more.